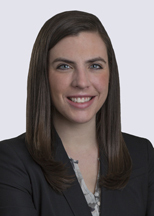 Sarah Waidelich is an intellectual property attorney who focuses her practice on patent litigation covering a range of technology, products, and industries, including automotive technology, medical devices, software, and electronics. Sarah has worked on issues across all phases of litigation, including pre-suit analysis and strategy, discovery and depositions, claim construction, summary judgment, and appeal. She has also worked in aligning litigation strategies between parallel district court litigation and USPTO inter partes review proceedings. She has also participated in several jury trials in the District of Delaware and has argued motions in the Northern District of California, the District of Delaware, and the Eastern District of Michigan. In addition to her primary practice, Sarah has been involved in several child welfare pro bono cases, including successful appeals to the Michigan Court of Appeals and Michigan Supreme Court. She also formerly served Honigman as a member of the Attorney Development Committee.